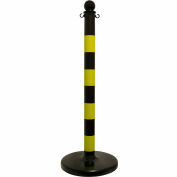 The Connect-ALL is made with a flexible strap that will fit around any shape bollard, pole, or post. 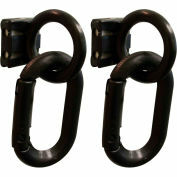 Each Connect-ALL has two slide hooks that can be positioned 180 degrees apart to form a straight line or 90 degrees apart to create a corner. 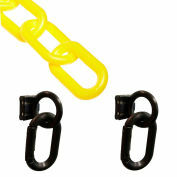 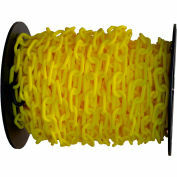 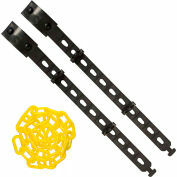 30 1/2" Adjustable strap with 2 C-Hooks & 25' of 2" Yellow plastic chain. 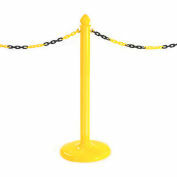 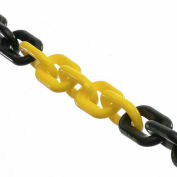 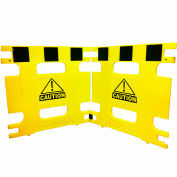 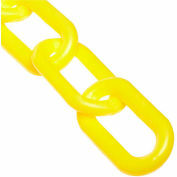 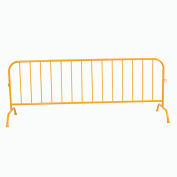 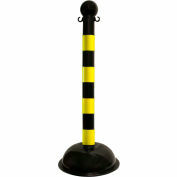 For connecting plastic chain to Bollards, Delineators, Post and more. 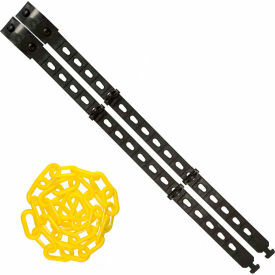 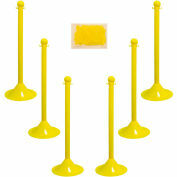 Fits up to 17" diameter objects. 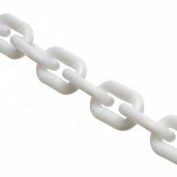 Strap is thermoplastic elastomer.